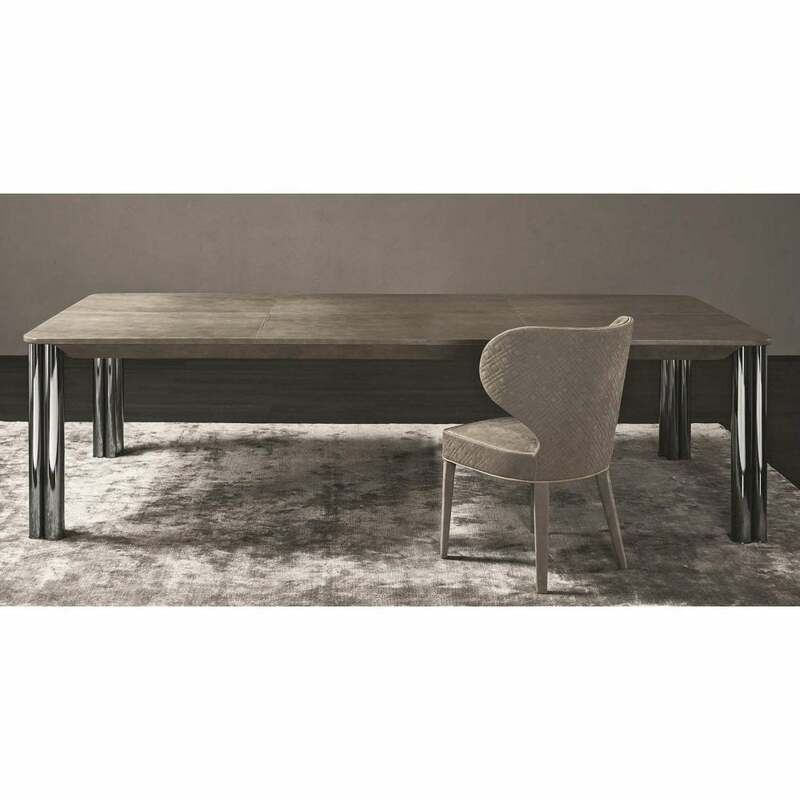 A special and unique creation, the Forest Dining Table by Rugiano is hand-crafted to the highest quality by skilled artisans in Italy. A statement design that takes centre stage, the dining table is perfect for entertaining and family gatherings. The striking table top can be crafted from ebony or lacquered wood as well as the finest Pelle leather and emperador marble. The cylindrical legs add a contemporary touch to the timeless design in either glossy gold or black chrome. Style with the Aida chair from the Rugiano collection for a luxurious dining set that exudes Italian glamour. Available in six bespoke sizes to complement your space whether a chic city apartment or a rambling country estate. Make an enquiry for more information.